I have used the anti-detriment payment strategy to improve death benefit payments over the years but they are dwarfed by the number of SMSFs using recontribution strategies. With the implementation of the Simple Super legislation in July 2007, many strategies have been published regarding re-contributing into your superannuation fund with the benefit of avoiding the 17% tax on death benefits to non-dependants. However this may not always be beneficial as paying no tax may result in no anti-detriment payment being received which is an additional / alternative strategy available. The recontribution strategy involves a member of a superannuation fund, normally after age 60 or if fully retired after age 55, withdrawing a lump-sum, and then recontributing the amount back into the fund as a non-concessional contribution. The result of this process increases a member’s tax free component of their benefit and reduces the taxable portion. Non-tax dependent beneficiaries of a deceased member’s account pay no tax on the tax-free portion but 16.5% on the balance. Your ability to recontribute is restricted. For the current financial year, you may contribute up to an annual cap of $180,000. For members under 65, they may contribute up to $540,000 in a financial year by using the “3 year bring forward” rule. An anti-detriment payment is effectively a refund of contributions tax paid by a member during the accumulation phase. It is an additional payment that may be made to an eligible dependant if a death benefit is taken as a lump sum. The anti-detriment payment is calculated based on the taxable portion of a deceased members balance so a reduction in the taxable component through a recontribution strategy will effectively reduce any anti-detriment payment available. The effect of either strategy can be seen below. Member with $600,000 in their account all from SG Contributions and Salary Sacrifice i.e. no Tax Free component – 100% Taxable Component. He has a son and daughter who each earn about $90,000 per annum. In this case not only has the deceased member’s dependant received an additional $105,882, the relevant Fund will be able to apply $705,880 in deductions against its income going forward. 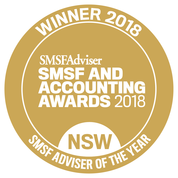 Where, for example, the deceased’s adult son and daughter choose to become members of the SMSF and, on average, the SMSF earns $40,000 a year in investment income, a deduction of this size could shield the Fund from tax (on concessional contributions and investment income) for over 8 years! Generally, the recontribution strategy is worth considering if the benefit is likely to be paid to a non-dependent for tax purposes, such as an adult child unless they will make use of the SMSF for their own future superannuation strategy. This is because the tax savings generally outweigh any potential anti-detriment payment they would otherwise receive. For a spouse or dependant child, you will usually be better off relying on the anti-detriment provisions – because they pay no tax on death benefits. However this requires prior planning and willingness to pay additional administration costs and taxes on anti-detriment reserve even when you reach pension age. Where the anti-detriment payment tax deduction causes a tax loss in the fund, the full quantum of the loss may not give a benefit to remaining members. In circumstances where for example the spouse is in pension phase, it is important to recognise that “Exempt Current Pension Income” absorbs carry forward losses (other than carry forward capital losses) before it is available to offset income of the Fund. Also, an anti-detriment reserve can affect the calculation of exempt pension income in the fund. Therefore, the full benefit of the anti-detriment may not be able to be utilized. An alternative solution for those looking to use an Anti-detriment strategy and with a terminal illness or shorter expected life expectancy is to roll-over the member’s account to a retail or industry superannuation account provider that have a policy of making anti-detriment payments as their set up means they will have more flexibility to fund anti-detriment payments. Another alternative for those dealing with a death of someone well before retirement age is the use of a Future Service Benefits Deduction so click on the link to read more about that. 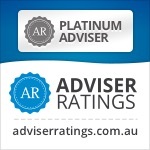 If you believe that setting up a recontribution and/or an anti-detriment strategy could be beneficial to your superannuation fund and to the your beneficiaries, then now is the time to plan for this and put in place the appropriate structures and strategies. Contact me at our Windsor or Castle Hill offices or by phone or email if you would like to discuss your options. Keep updated by putting an email address in on the left hand column and pressing the “Sign me up!” button. Happy to take comments or questions in the section below.